Rain, rain, rain. It has been an interesting and profitable summer in beekeeping here in Alberta. After the long long long winter and even longer and heavier days of rain, the bees have been making honey like nobody’s business, that is, if you didn’t lose your bees to the flood or have BIG problems with chalk brood. 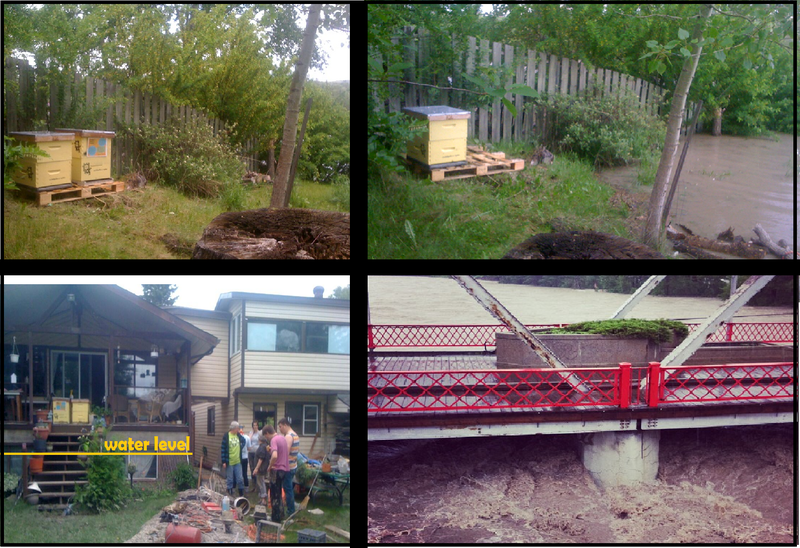 I keep all of my bees along the river pathway here in Calgary, and due to some crazy quick action, we didn’t lose a single beehive to the “Flood Island” event! Chalk brood is a fungal infection in the brood nest of honeybees. Why does Chalk Brood happen? Chalk brood tends to pop up in colonies under stress. It is a lack of hygienic behaviour within you colonies. I have talked to bee breeders and importers of queens this year a bunch about this subject, as I have seen a lot of it, and so have they. It is very hard to breed against and has been seen in great quantities coming from the Hawaiian queens imported this year. The best bet, hands-down, is to requeen. Either by allowing your bees to raise their own queen or by purchasing another one. 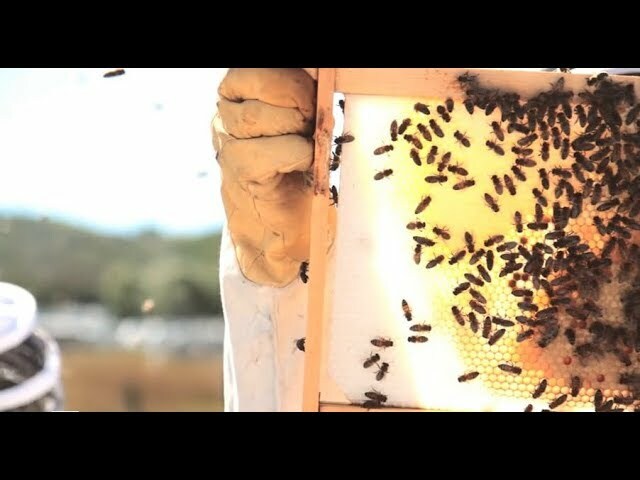 It is rare for chalk outbreaks to kill a colony, but it can be detrimental in the development of your apiary if you do not respond to the problem. Weak bees in the summer mean weak bees in the fall, and increase your chances of losing your bees in our long winters. Really glad you saved your bees from the flooding. Thanks for the video, it’s useful. From what I’ve read, chalk brood is thought to become a noticeable problem when the colony is weak, causing levels of carbon dioxide to rise above normal, because the bees are failing to maintain the correct conditions in the hive. So keeping strong colonies will help. Also changing brood combs annually, as the fungus spores remain in the brood comb after an infection.